We have seen from the Sverdrup balance that, over the subtropical gyres of the northern hemisphere where the winds are cyclonic, the mid-ocean transport integrated top-to-bottom is southward. So, where/how does the southward mid-ocean flow return northward? Henry Stommel addressed this problem and showed that the northward return flow occurs in a relatively narrow, strong current along the western boundary of an ocean basin. His theory has became known as "western intensification". All boundary currents of ocean gyres occur at the western boundaries, whether resulting from clockwise or counterclockwise winds or whether they are driven by thermohaline effects. Stommel observed that strong currents like the Gulf Stream, the Kuroshio Current and the Agulhas Current are all at western boundaries. He set out to show why that should be, by using the equations of motion. He considered a zonal wind stress that varied sinusoidally in the meridional direction - a simplified model of the winds over the subtropical gyres. 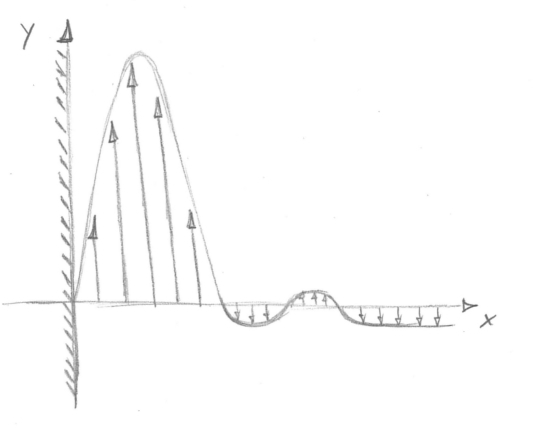 Why a streamfunction? Ψ represents a curve that is everywhere tangential to the directions of the flow vectors U and V. These curves are called "streamlines" because, for a STEADY flow, they represent the trajectory of a fluid parcel. Use of the streamfunction Ψ simplifies many equations because it is a scalar, from which the vector velocity field can be calculated. The streamfunction is also very useful to visualize the flow field, which is everywhere parallel to streamlines (if it is steady). 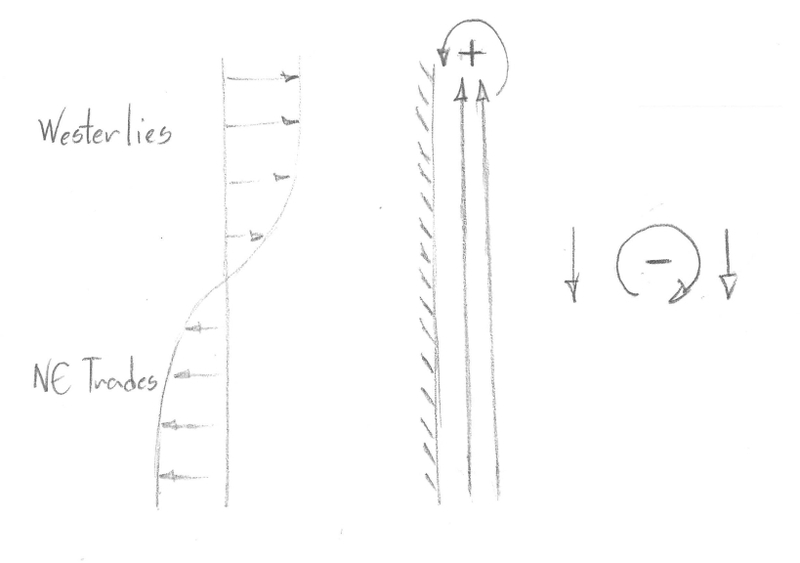 Also, the density of streamlines tells us about the strength of the flow. where Ψ = 0 at each boundary. This equation can be solved and the solutions looks like this, where stronger flow is indeed on the western side of the basin. so that , and as then . 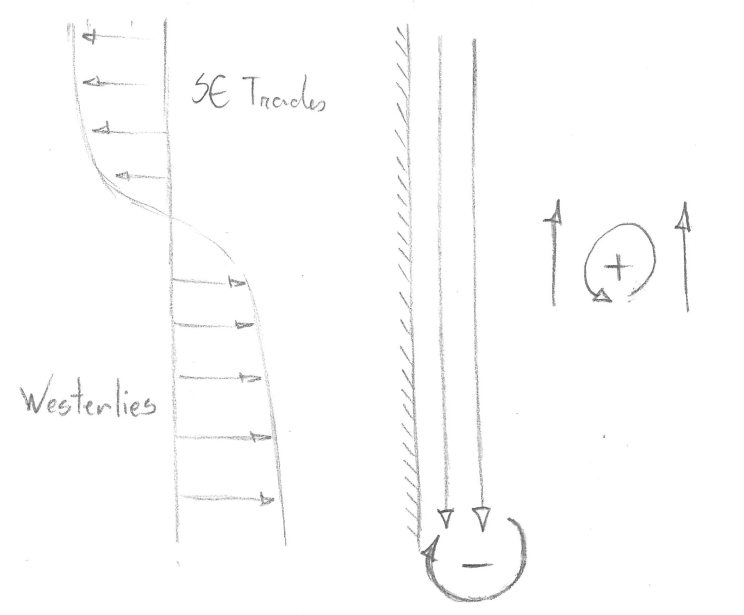 Hence, for a boundary layer where the flow must be northward, V is positive and must decrease as x increases. 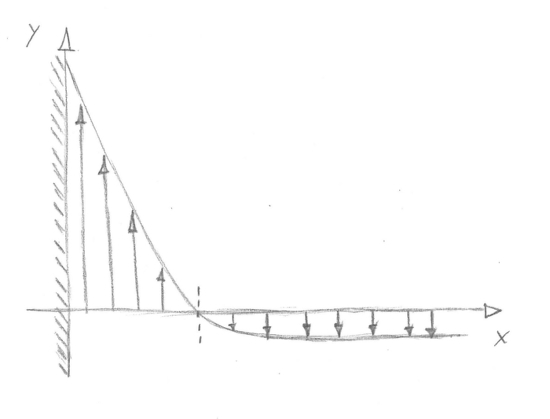 Since r and β are always positive, the boundary layer must be on the western side of the basin. Notice that the e-folding scale of the WBC is . This is called the Stommel Boundary Layer. 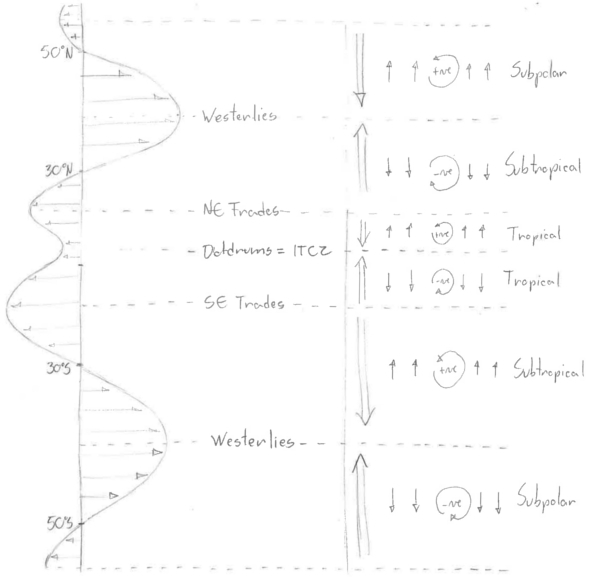 and the total meridional flow across the basin is zero, since the transport in the boundary layer must be equal to the interior Sverdrup transport to respect continuity. - the ocean can only do this by obtaining anticlockwise spin via friction of a fast flow at the western boundary. Remember - the key element in western intensification is the beta effect. Because it is always positive, all strong flows end up on the western boundary. With Sverdrup interior plus western intensification we can get the structure of the steady ocean circulation knowing the wind field. Notice that for steady ocean circulation there is no meridional transport in the interior at latitudes of zero wind stress curl (or wind stress maximum). These latitudes define the gyre boundaries. 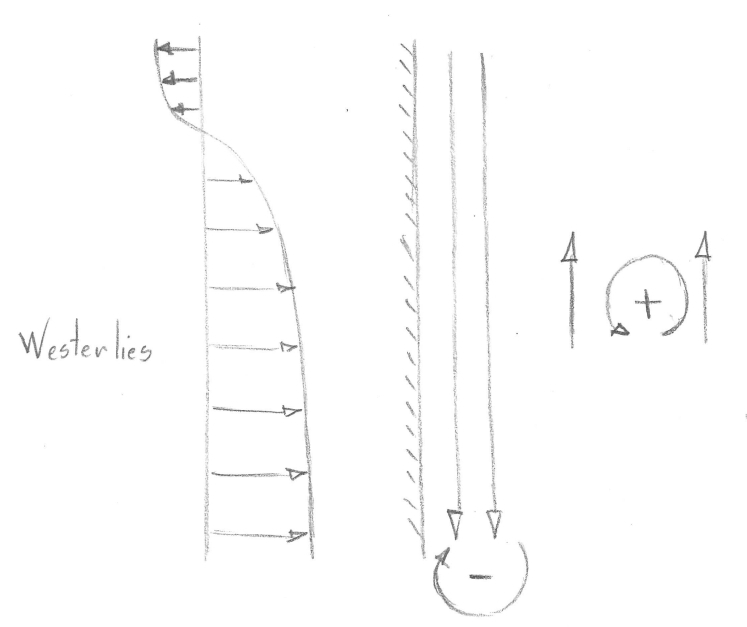 which yields a velocity profile which is zero (no slip) at the western boundary, a maximum in the boundary layer and decays quickly offshore, with small counter currents. This is called the Munk Boundary Layer.